If environmentalism and much of the 20th century’s mainstream economic dogma can really be considered religions, then there are profound and far-reaching implications that must be acknowledged. 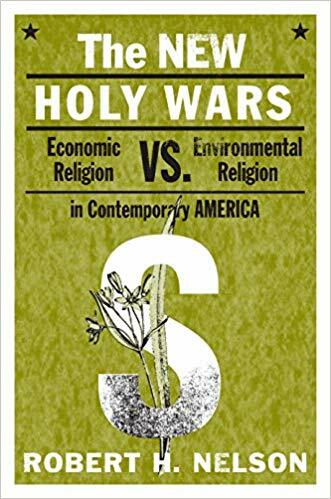 In his book “The New Holy Wars: Economic Religion vs. Environmental Religion,” Robert Nelson makes a compelling case that not only should the two movements properly be characterized as secular religions, but that they currently represent the dominant public belief systems in America. The ramifications in terms of public policy and the on-going U.S. debate on religion are enormous. The environmental movement has played a massive part in shaping global governance over the last century. The role of economists in guiding American political institutions and governments around the world, meanwhile, has been even more profound. Despite popular perceptions, however, Nelson argues that both ideologies also make fundamental moral assumptions that are grounded not in observable facts but on subjective premises. To oversimplify, the economic “priesthood” argues that economic efficiency and more consumption are “good,” with increasing material wealth perhaps even helping to abolish sin and create “heaven on earth.” On the other side of the fence – the environmental religion – is the environmentalist idea that disturbing nature or allowing humans to impact the environment is “bad,” along with the belief that materialism will bring inevitable judgement and devastation upon humanity if it refuses to reform its sinful ways. Does that make them religions? At first, it may seem easy to dismiss the premise out of hand. After all, aren’t environmentalists and economists relying on “science” to reach their conclusions? Not according to Nelson, who outlines a decent case for recognizing both economics and environmentalism as religions in the true sense of the term. He concedes that there is a high degree of theological confusion among true believers in both movements. There is. Nelson’s argument is, in many ways at least, somewhat persuasive. Plenty of sources that have reached similar conclusions are cited in the book– even a few honest economists and environmentalists. Of course, the two “religions” are at odds with each other much of the time. 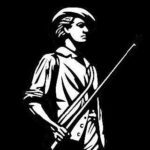 The mainstream of both, however, have at least one major element in common: they have been hugely successful in seizing the coercive apparatus of government and using it to enforce at least certain elements of their dogmatic religious visions and ideals throughout the 20th century. Nelson meticulously documents this phenomenon relying on a vast array of sources, again including environmentalists and economists themselves. The consequences of this merger between what Nelson views as the dominant contemporary religions and the state have often been harmful. Examples include less liberty, massive waste, theological confusion, social engineering, and the increasing marginalization of Christianity as well as the U.S. Constitution. In at least several instances documented in the book, the results of pursuing the policies of the secular religions have been even more tragic. The environmental movement, for instance, has used the machinery of government to expel Native Americans from their lands under the guise of preserving so-called “wilderness” areas – natural ecosystems that are set aside to preserve them from human impacts, often associated with a huge financial burden to taxpayers and society. Nelson compares it to having the state fund the construction and maintenance of cathedrals for Christians. A section on “environmental colonialism” also outlines the tragic effects of environmentalist attempts to “save” Africa from Africans. The effects are felt closer to home, too. Consider the role of the environmentalist movement in the federal government over the last hundred years. Vast swaths of American territory are literally owned and managed by the national government. The rest of the land is – at the very least – highly regulated from Washington, D.C., as environmental bureaucracies like the EPA continue to expand in size and scope. The decisions on how to manage and regulate the nation’s land and natural resources, as the book documents in detail, are often based on the latest pseudo-science coming from the “priests” of the environmental religions. A segment on the spotted owl and another type of bird moving into its traditional habitat area makes for entertaining reading if nothing else. State and local government decisions are often guided by the environmental zealots, too. In recent decades, even the United Nations has seized on real and imagined environmental concerns seeking to develop global policy. Think “Agenda 21,” or the fight against global warming, or global cooling, or deforestation, or biodiversity. The trend toward governance based on fundamental assumptions made by true believers in environmental religion is only growing. But if the environmentalist movement is not based on science but rather on moral assumptions and faith, several important questions need to be answered. What about the supposed “separation of church and state”? In what may seem bizarre at first, the book traces many of the fundamental tenets of radical environmentalism to Calvinist Christianity. They both, for example, cite undisturbed nature as one of the primary ways to understand creation. With environmentalism, the argument is more implicit, but both religions try to understand the Creator by relying on nature – His undisturbed and unaltered work. The main difference between the two, Nelson argues, is that most environmentalists refuse to directly mention God. In many cases, it actually goes farther, with environmentalists worshipping the creation – “Mother Earth” – while denying even the existence of a Creator. Despite some initial hesitation, Nelson’s argument on the roots of environmentalism does become more and more plausible as it is explained. Even if the link to Calvinism seems tenuous or unnecessary to the larger argument, however – more than a few analysts say the modern environmental movement is closer in nature to Marxism – it is indeed interesting to consider the similarities between the two. Nelson’s case against environmentalism as a theologically unsound religion with internal contradictions that should be better thought out by its adherents is well made. It should certainly be considered by the environmental movement as well as its opponents. The situation with economists is similar. Nelson argues that with the rise of the economic religion, the terms “efficient” and “inefficient” have largely replaced the terms “good” and “evil” in the development of policy – especially during the progressive era of massive government growth. If a law or government action could allegedly increase “efficiency,” the economics “priesthood” would argue that it is “good.” On the other hand, if a perceived “inefficiency” could be addressed using policy prescriptions, the “high priests” of economics would argue that it should be dealt with. They often win, as the book explains using real-world examples. Like with the environmental religion, however, the consequences can often be harmful to society at large – not to mention human liberty. Nelson acknowledges that there have been plenty of other secular religions that have found varying degrees of influence in the United States and around the world: Marxism, psychology, “Americanism,” and many more. It seems that all of those, however, are competing mostly against the two dominant forces explored in the book: environmental religion and economic religion. Some elements of the competing secular religions have even become intertwined with others, leading to a confused hodgepodge of secular religions seeking to seize control over the state apparatus. The intermingling of the secular religions with Christianity, while discussed, could have been explored in more detail. The book explores a number of important issues, each one of which could have been the subject of a separate investigation. Of course, not all of the arguments are easy to agree with, and sometimes assumptions are made or objections glossed over in a way that makes the fundamental premise seem less palatable. Perhaps the book’s most important function, though, is simply the important questions it raises on fundamental topics that are so often overlooked in the major policy debates of America today. Another important contribution the book can make – to environmental and economic faithful, as well as to their critics in the public debate – is the exploration of libertarianism and how it relates to the various secular religions. Nelson argues that both environmentalists and economists could learn something from libertarians – and from each other. In some areas, there are already similarities. 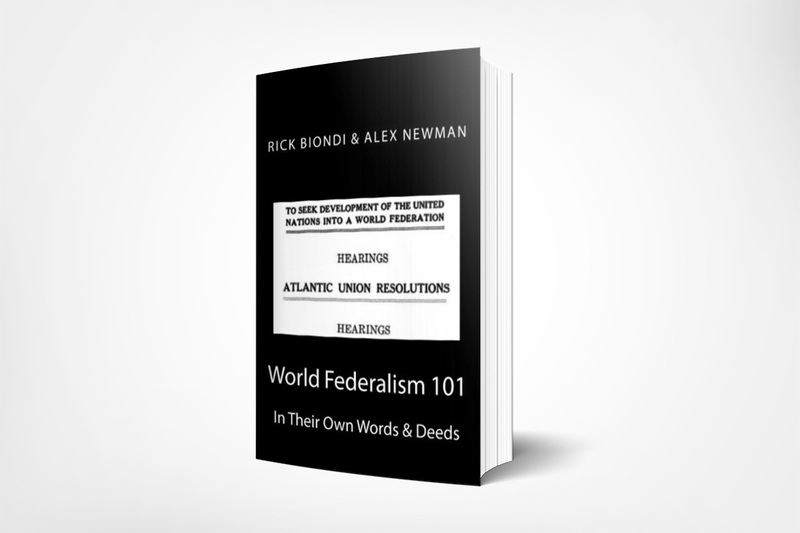 The book briefly explores how Catholic notions of natural law have contributed in some important ways to limiting the coercive powers of the state. It also delves into how, in other ways, Protestantism, while contributing to the protection of free expression and free thought, has also had its downsides in terms of human freedom. Nelson does not write from a Christian perspective, however. Even if one were to read the book without accepting the fundamental premises, it is still highly educational and informative. Readers will almost certainly come away with a greater understanding of what Nelson refers to as the “economic priesthood” and the environmental movement – where they came from, what forces influenced them, who the leaders were, and more. For those reasons alone, despite being somewhat tedious reading at times, “The New Holy Wars” is certainly worth your while if you have any interest in either subject. More importantly, however, are the policy implications raised by the book. If the federal government was truly established to be completely free of religion, as many modern-day anti-Christian commentators claim, what does that mean if economics and environmentalism are actually religions? Nelson does not truly answer that question, but instead encourages readers to think about it themselves and reach their own conclusions. The questions highlighted by the book may end up being its most valuable contribution to the debate. Here’s an area where you would think economist religion and environmentalist religion could come together: deforestation. I recently did a flight from SW Oregon to Seattle. A curious thing about flying over forest during winter is how starkly the recent clearcuts stand out, because snow under mature trees can’t be seen but it can be seen in clearcuts. The checkerboard pattern created by clearcuts and mature forest shows in undeniable clarity that going on 50% of this land, for hundreds of miles, has been logged in the last 30 years to fuel the suburban build-out and repair hurricane damage. Even a cold economist can see that cutting 50% of the forest in 30 years, when the trees being cut are in the 100 to 200 year age range is not sustainable. So either they’re okay with a logging industry collapse in the near-term, or they’re assuming that permission will be granted in that extremity to take the last postage stamps of real forest (not juvenile plantation trees), or that home construction will miraculously shift to a new building material when the feedstock for stick construction is exhausted. To make matters worse, what I observe in fire behavior (I’ve had roughly one million acres burn withing sight of my home in the last 17 years) is that replanted clearcuts are extremely vulnerable to wildfire. It’s becoming apparent that protecting these thousands of acres of even-age juvenile trees is next to impossible, and they don’t begin to have some resistance to fire until they are nearing the age when they will be cut again, starting a new round of decades in which the forest is at high risk of a 100% fire kill. By contrast, the mature forest I’ve hiked through after recent fires, not controlled burns under favorable conditions like they should have been but worst-scenario wildfire in July, the survival rate is above 90%, with only small patches in which conditions were right for what’s called “group torching”. But I could also show you thousands of acres of fire-killed baby trees in the 5-to-40 year age range where all they can do is start from scratch. The bottom line is that forestry as now practiced is more like a strip mining operation that is completely unsustainable even when reasonable management could make it sustainable. This is driven by high-line logging methods, the most efficient means of extracting the cut from the steepest mountainsides, which only work if you clearcut. Changing this will obsolesce a huge amount of very expensive machinery. But if they don’t change it the machinery will be idled anyway.